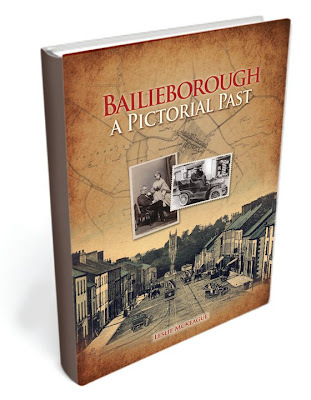 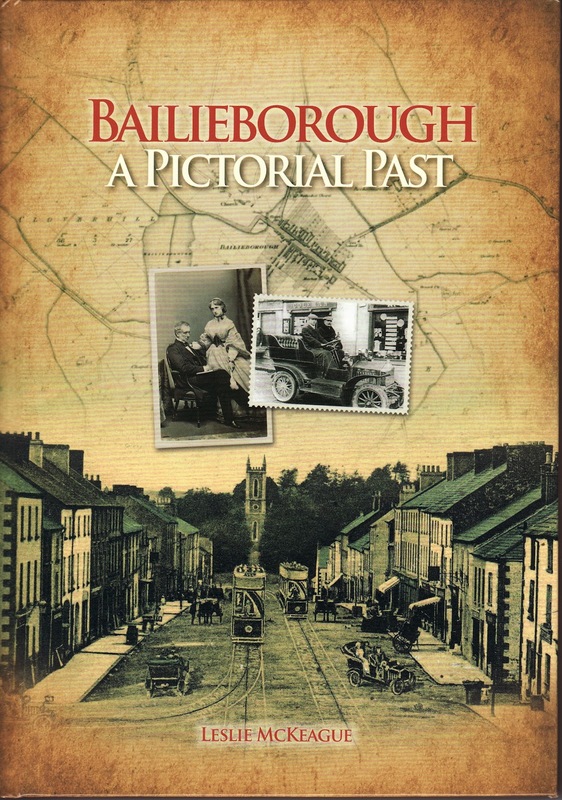 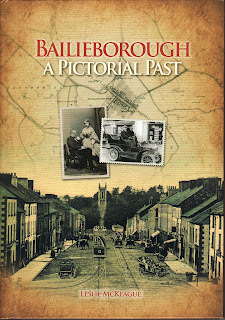 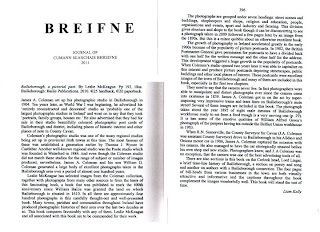 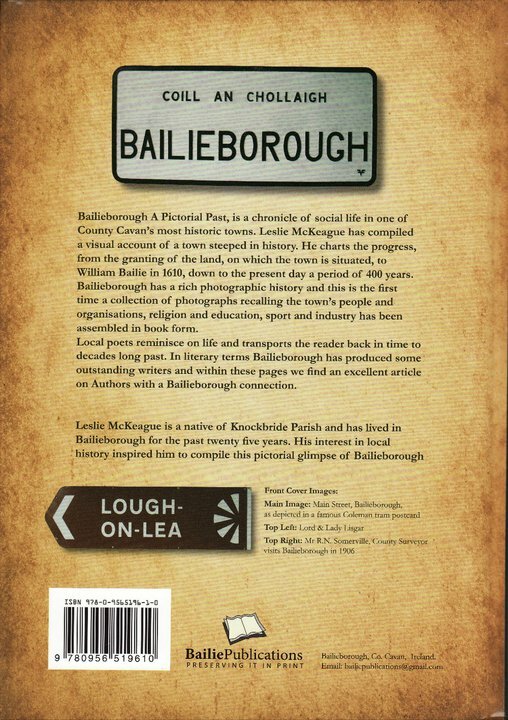 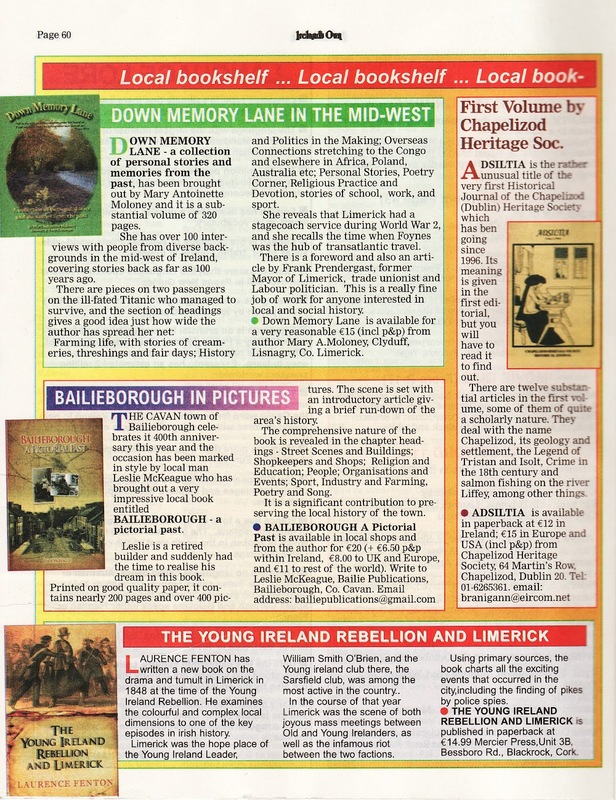 Bailieborough A Pictorial Past was published in May 2010. 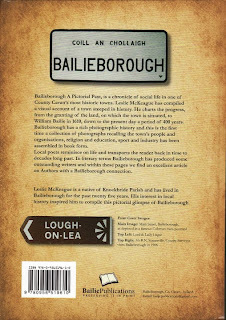 Hard back copies are sold out but paperback copies are still available at the reduced price of €12 each + P&P to any location worldwide. Bailie Stores, Clarke's XL and Hall's Newsagents. 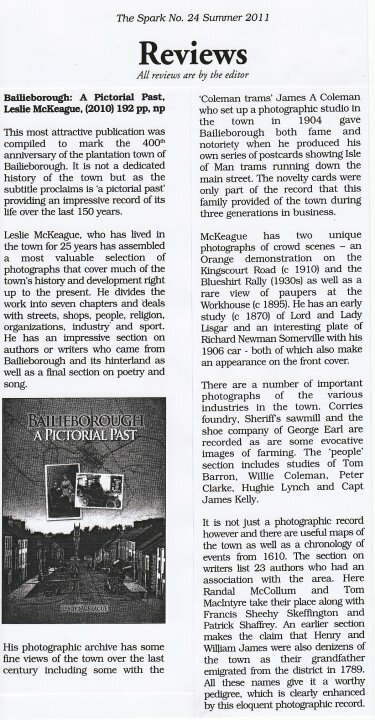 Cavan Genealogy on the 1st Floor of Cavan Library and Crannog Bookshop. 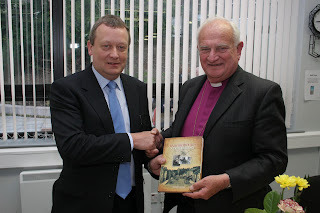 Presenting a book to retired Primate of All Ireland and Archbishop of Armagh, Lord Robin Eames. 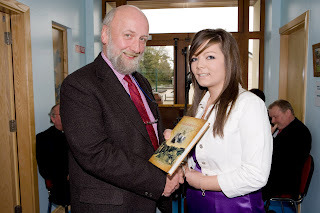 Lord Eames officially launched the book on Friday May 28th 2010 in Bailieborough Business Centre. 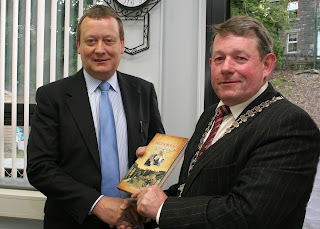 Chairman of Cavan County Council, Winston Bennett is presented with a book. Exchanging books with Philip Donnelly. 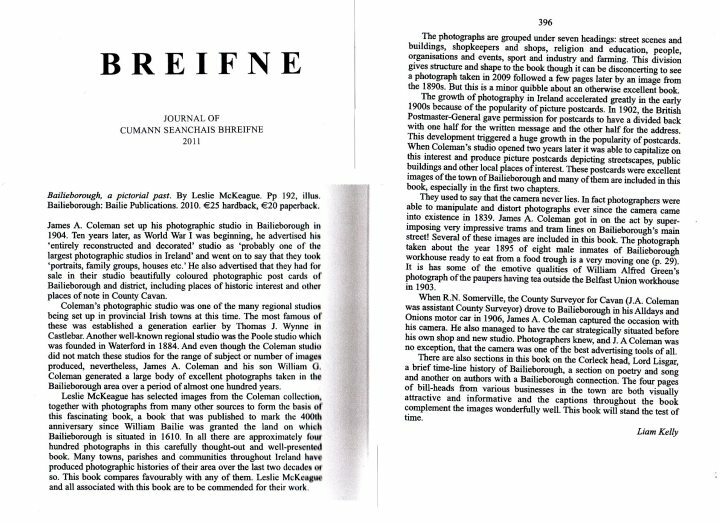 From Ireland to Canada in the 1950s. 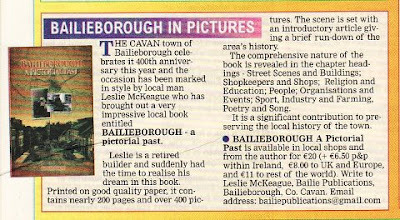 Presenting a book to Colm Tóibín when he visited Bailieborough on June 22nd 2010. 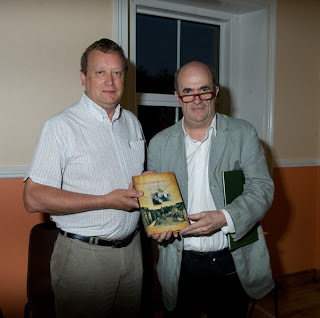 Colm Tóibín formally unveiled a new plaque at the James family ancestral home on Main Street, before delivering a lecture, 'Henry James - The Shadow Of Bailieborough', at the Church of Ireland in Bailieborough. Councillor Seán McKiernan presents a book to the Taiwanese Ambassador during his visit to Cavan. Presenting a book to Professor Naoyuki Mizuno from the University of Kyoto, Japan. 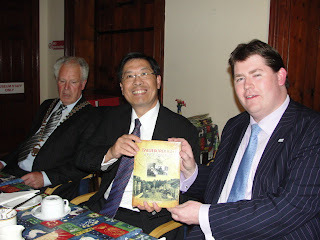 Professor Mizuno is professor of American Literature at the University of Kyoto and is a keen scholar of the works and roots of Henry James, the American novelist whose family emigrated from Bailieborough. 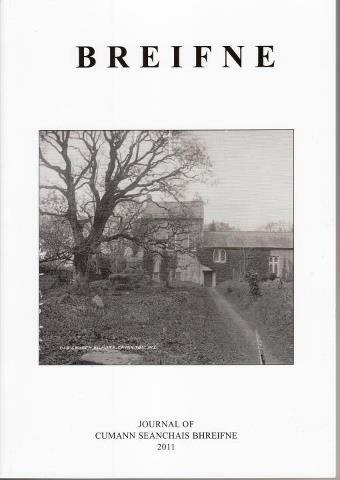 He has translated some of James' works into Japanese. 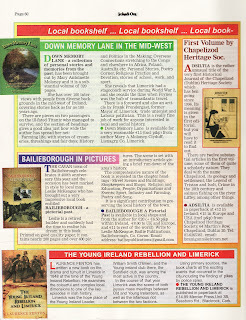 Brendan Smyth T.D. 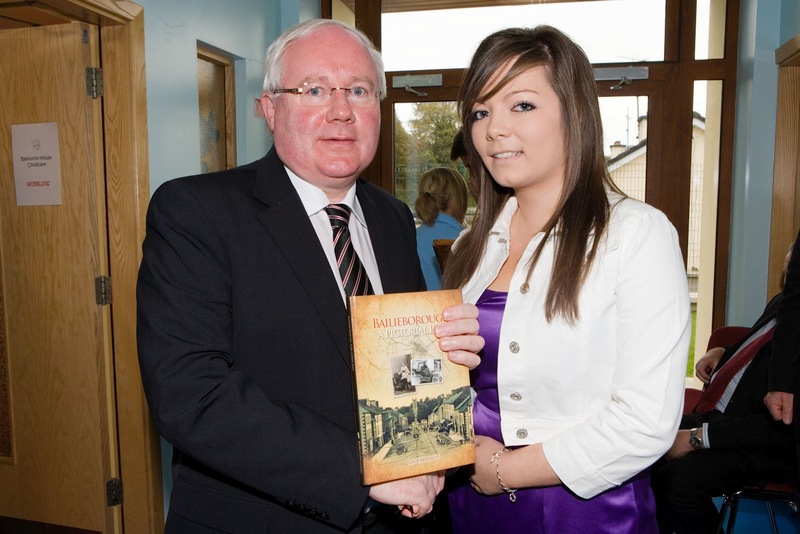 receives a book from Anna Kennedy during the official opening of Bailieborough Resource House. Anna Kennedy presents Fergus Finlay, CEO of Barnardos with a book at the official opening of Bailieborough Resource House. Presenting a book to Tom MacIntyre who is one of the country's most original and experimental writers in plays, poems, short stories and novels. 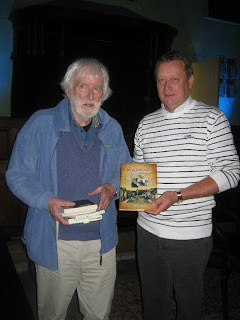 This was during the Tom MacIntyre Literary weekend in September 2010. 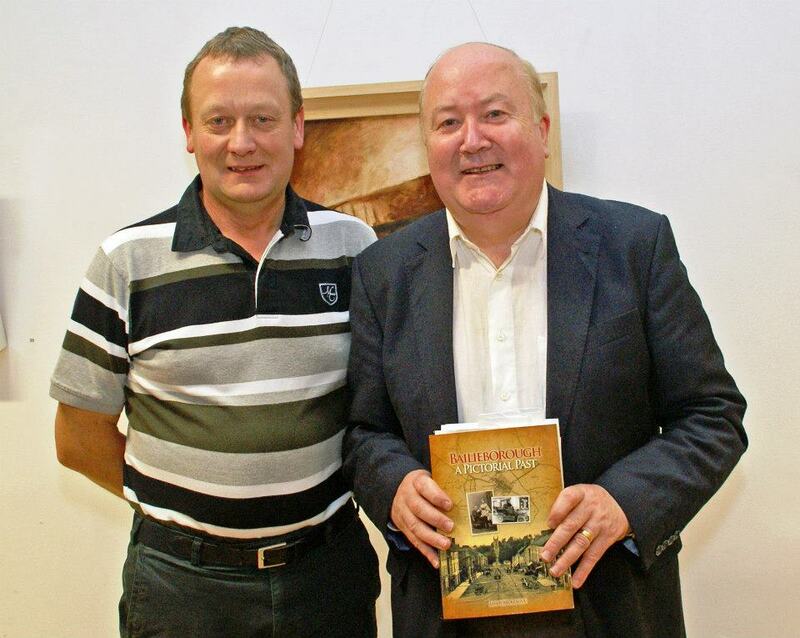 Conor Brady attended Bailieborough Library on Thursday Sept 6th 2012 and read extracts from his most recent book 'A June of Ordinary Murders'. 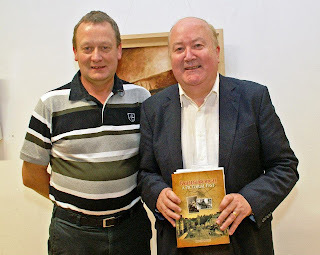 Conor is a journalist, author and former editor of the Irish Times and Sunday Tribune, former Commissioner, Garda Siochana Ombudsman Commission. 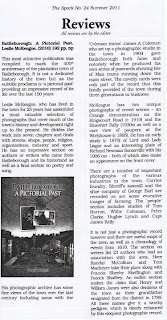 'A June of Ordinary Murders'.